This is the real issue that is not being addressed (This is the kind of stuff I taught in the medical center before coming to New Caney High School. My undergraduate degree is in journalism and my first graduate degree was in medical education.......I taught in the Texas Medical Center and worked as a paramedic). It may sound technical, but it?s not). The New York Times (Not exactly a conservative publication) did a recent article admitting the Democratic party has adopted radical views about abortion, on demand at any point of a pregnancy. 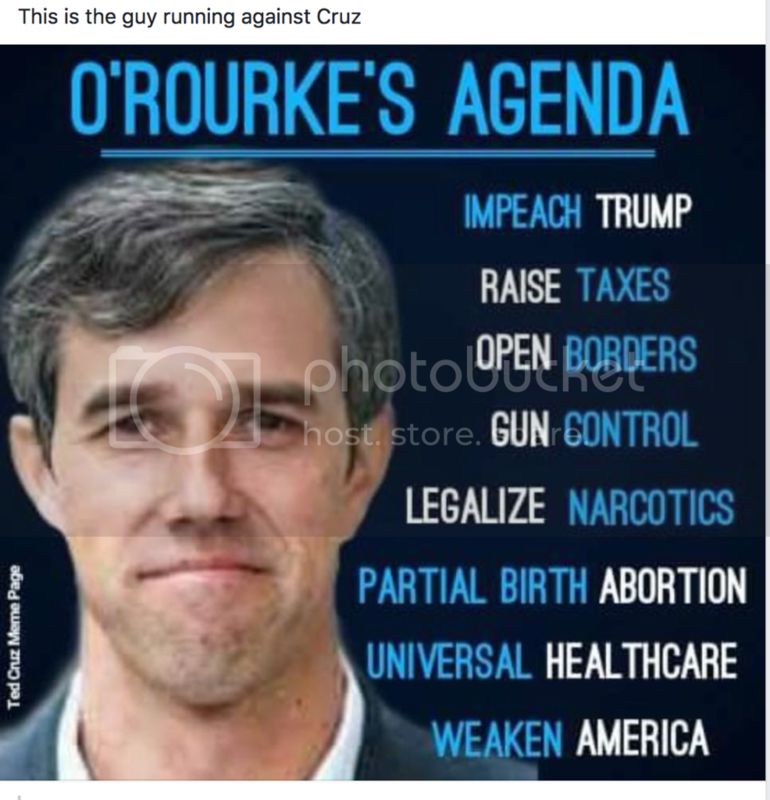 My real issue with Beto and the Democratic Party is late term abortion. In the 80's I was part of the Hermann Hospital Neonatal Intensive Care Transport Team and assisted when Baylor Medical School did a landmark surfactant study (Working in the Texas Medical Center was cool, I was present the first time a thrombolytic was administer outside the hospital. Now it?s used on ambulances throughout the country). Let's assume that a female carries a pregnancy to term. The contractions are beginning and the baby is about to be born (The baby has reached the point that it is viable). As part of the Hermann Hospital Neonatal Intensive Care Transport team I saw this quite a bit. The newborns often had not secreted surfactant and their lungs were not function. Fetuses begin to produce surfactant between weeks 24 and 28. I assisted in a Baylor Medical School study in 1987 that involved giving serfactant to babies before those dates. Amazingly, surfactant administration to premature babies has radically improved survival rates and complications from RDS (Respiratory Distress Syndrome). THIS IS THE POINT: MEDICINE HAS IMPROVED THE SURVIVAL RATES OF NEWBORNS. SHOULD WE BE KILLING SOMETHING THAT WILL SURVIVE OUTSIDE THE WOMB. AS YOU MAY KNOW, SOMETIMES ABORTION FETUSES SURVIVE AND ARE KILLED OUTSIDE THE WOMB. THAT'S WHY DR GOSNELL IS IN JAIL. IS IT ETHICAL TO TAKE THE LIFE OF SOMETHING THAT IS CAPABLE OF LIVING OUTSIDE THE WOMB? THAT IS MY POINT!! Not going to go to battle stations over this old issue. A woman has decision making power over her body - to the exclusion of all others. A woman has decision making power over her body - to the exclusion of all others.? I hate abortion, but it does have to be allowed to a point. So what about assisted suicide, prostitution, or drug use. Hell, it's my body isn't it? So long as no one else is being hurt, who's business is it? Oh yeah, money, the government makes money off the latter two being crimes. I think it's just the religious nut jobs that refuse o pass assisted suicide. So, if the fetus is a woman, doesn't that mean she doesn't have control over her body if she is aborted? There is a contingency in the Democrat party that condone late term abortion, well into the third trimester. That's a fact. Yes. That is exactly what that means. It also means that male and female fetus should and are to be treated equally. Glad to see you are finally seeing the light. Now pay up, weasel. You might try Googling before posting. You can lose your cedebility. So you feel a baby can be born, even though it can survive on its own outside the womb? Very sad....But that is what the Democratic Party stands for. So, if the fetus is a woman, doesn't that mean she doesn't have control over her body if she is aborted?? That actually raises an interesting point. Japan performs many abortions. But, the Japanese are mainly aborting females. What happens if their society runs out of females? Who protects the rights of the unborn American Citizen?? Late term abortions are pretty simple. It is murder. But, first term issues are more complex. But, ultimately (like the NYT says) the Democrats are the party of all abortion. I've tried, and,so far, I've not been able to cobble together words that can be any plainer of intent. What I find extremely interesting is since early term abortions are legal and widely available, and a "civil" right, WHY would any rational person or party push for late term abortions?? For Gods sake, they are legal now and yet, they want to end the life of an older baby too? Why would anyone support that?? No one need answer. Humanity loves to make themselves their own God, no accountability that way. Because you can't. Once a fetus becomes a viable human being, it becomes murder. Humanity loves to make themselves their own God, no accountability that way. Who is they, and what?s your source? They would be any of the democrats who voted against the recent proposed bill that would make illegal any abortions after 20 weeks. That's 5 months out of a 9 month pregnancy. Why the hell would someone wait 5, 6 or 7 months and then decide they want an abortion? So you OK with aborting a full term baby then Butters? Can't say it any clearer. Whether I like it or not. It's morbidly soulless. It's another human's life at that point. I'm no drum beating pro-lifer, but there's something inherently diabolical about even considering aborting a full term baby. I vote we legalize post birth abortions. "....Devaz. so what about suicide, prostitution and drug use? hell, it's my body. So as long As it doesn't hurt anyone else, whose business is it? That's a fallacy that those things don't hurt other people. Ya, it IS a choice to destroy yourself. One you're free to make but don't delude yourself that no one else is hurt, that's cop out and false. Can't say it any plainer than that. Ronald Reagan wasn't a woman. He doesn't get to decide. Beto vs Ted: The war on cultural appropriation! I'm still wondering who protects the rights of the unborn American Citizen? I'm just wondering when the Democrats are going to figure out that they've been aborting millions of potential liberal voters for years and years now. I'm wondering who protects the rights of those citizens that are actually born. And starving. And living in poverty. And lack resources to quality health care and education. Themselves or their parents should be taking care of that. You know......... personal responsibility and all that stuff that comes with life. Sniveling like this is why socioeconomically the US is returning to a it's meritocratic roots and away from the grievance based pantomime of the last 10 years. New York Times - Democrats & Abortion? Did you even bother to read what you linked? It does not bolster your argument in the least. The fact of the matter is that Democrats do not support late term abortion. What a package of lies you are selling that only the tRump base ever bothers to buy due to stupidity. The fact of the matter is that Democrats do not support late term abortion. Yes they do. Some of them, anyways.